Legend has it that 1,200 years ago, Kaldi, an Abyssinian goatherd, discovered coffee berries in a forest in Ethiopia’s south-western highlands and tasted them. He loved the feel-good effect that followed & took them to a nearby monastery where he gave the head monk a handful of berries & told him about their miraculous effect. The monk was convinced it came from the devil and promptly threw them into the fire. Within minutes the monastery was filled with the aroma of roasting beans causing the other monks to pour into the room and probably exorcise the beans. It didn’t take them too long to rake the beans out of the fire and crush them ‘to extinguish the embers’. Once the devil had been banished from the beans, the head monk had a change of heart and ordered the beans put in an ewer and covered with water to stop the burning process. The unusual embers caused the water to heat up and an aroma, clearly a gift from angels, was too good to resist and that same night the monks drank the rich black liquid – from then onwards they drank it on a daily basis to keep themselves awake during their nocturnal prayers. It seems more probable, however, that the monks of Ethiopia chewed on the berries as a stimulant for centuries before it was brewed as a hot drink. 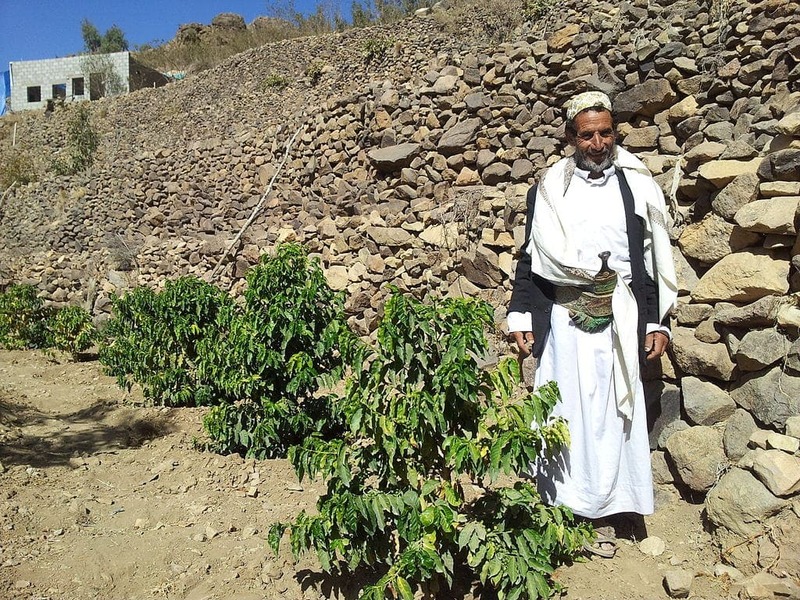 Another version of the story is that coffee was brought to Arabia from Ethiopia by Sudanese slaves who chewed the berries en route to help them survive their journey; but they could also have ground the coffee and mixed it with butter, eating it like chocolate – a method popular with the Galla tribes of Ethiopia. 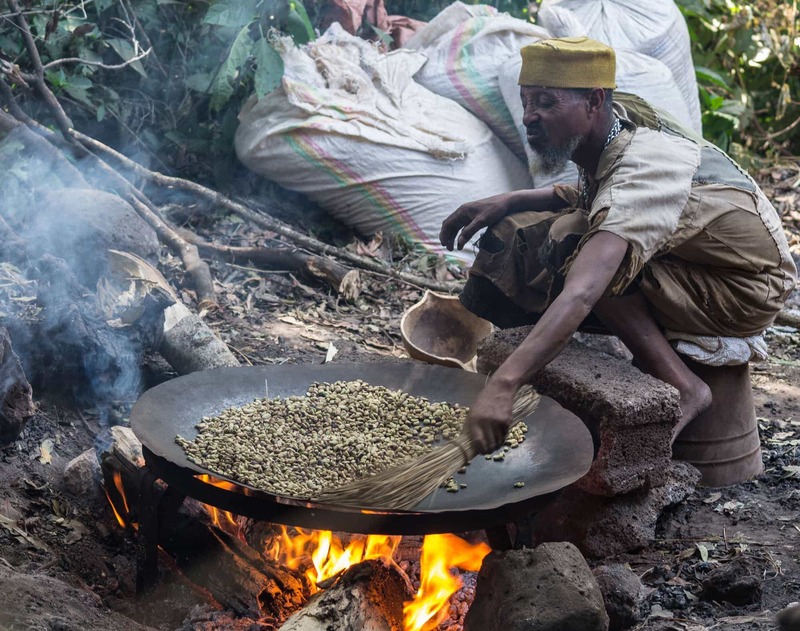 The practice of mixing ground coffee beans with ghee persists to this day in some parts of Kaffa and Sidamo, two of the principle coffee producing regions of Ethiopia. In Kaffa coffee is still brewed today with the addition of melted ghee which gives it a distinctive, buttery flavor. 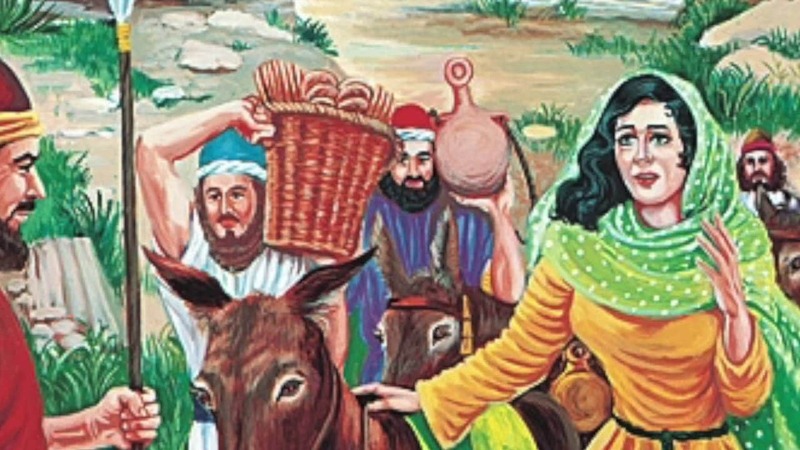 Be that as it may, Arab slave traders eventually brought the seeds back from their raids on Ethiopia and the Sufi (a mystical Islamic sect) were initially responsible for the cultivation and distribution of coffee. There’s documented proof that a Sufi grand master, Ali Ben Omar al Shadily, brought the coffee beans to Arabia. 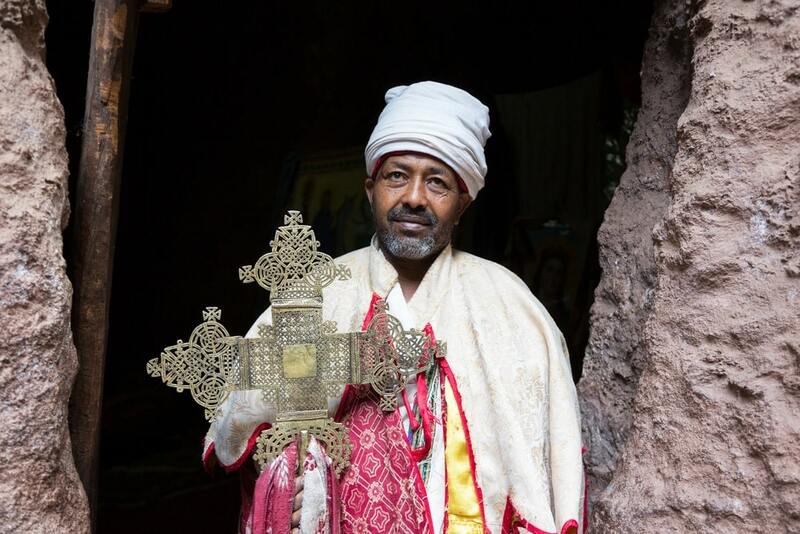 He had been living in Ethiopia for quite some time before founding a monastery in the Yemenite port of Mocha (Al Mukha) where he was later known as the saint of Mocha. It seems pretty probable that the first cultivated plants did grow in the monastery gardens of Yemen. From Ethiopia, the coffee beans crossed the Red Sea and went on to Arabia. History and legend provide many tales of coffee and it’s use but before we touch on it, here’s an Irish Coffee Chocolate Tarte with emphasis on the coffee. In the Old Testament, the parched corn that Abigail gave David and that Boaz gave Ruth is said to have been coffee and later, in Ancient Greece, the Lacedaemonians (Spartans) already drank massive amounts of the famous black broth to give them energy during the siege; it could have been coffee. In the Odyssey, it’s mentioned that Helen of Troy mixed nepenthes with wine to banish sadness and wrath from her heart, it was probably also coffee. However, if these legends had a grain of truth in them, the recorded dates for coffee’s discovery wouldn’t match the dates of the Odyssey which was written by Homer 700 years before the birth of Christ. I’m inclined to believe that the Greeks could have known about coffee by then because they had a lot of interaction with the various Babylonian nations of Asia and North Africa. Arabic scientific documents dating from around AD 900 refer to a beverage drunk in Ethiopia, known asbuna, and the similarities in the words suggests that this could be one of the earliest written references to Ethiopian coffee in its brewed form. Bear in mind that the early Arabs were renowned for their scientific knowledge. In 1454 the Mufti of Aden visited Ethiopia and saw his own countrymen drinking coffee there. He was reportedly very impressed with the drink that had cured him of some affliction and his approval made it popular among the the Yemeni Whirling Dervishes (members of the Tariqah, a Sufi Muslim ascetic sect), who used it in religious ceremonies and were responsible for introducing it to the citizens of Mecca where the first coffee houses were established. These coffee houses, became known as Kaveh Kanes and were, originally, religious meeting places but soon became social meeting places for gossip, singing and story-telling. 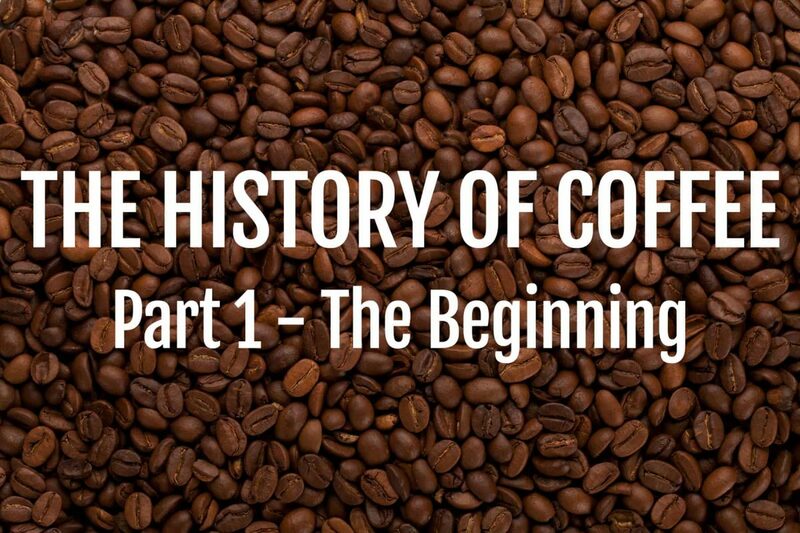 With the spread of coffee as a popular beverage it soon became a subject for heated debate among devout Muslims, keen to observe the laws of their faith. The Arabic word for coffee, kahwah, is also one of several words for wine. In the process of stripping the cherry husk, the pulp of the bean was fermented to make a potent liquor. The Quran forbids the use of intoxicants, but those Muslims in favor of coffee quite rightly argued that coffee did not intoxicate, it stimulated. The argument over coffee came to a head in 1511 in Mecca when the governor of Mecca, Beg, saw some people drinking coffee in a mosque as they prepared a night-long prayer vigil and became livid. He chased them from the mosque and ordered all the coffee houses to be closed. A heated debate ensued, with coffee being condemned as an unhealthy brew by two rather unscrupulous and greedy Persian doctors, the Hakimani brothers who were known to be dishonest and to lie for financial advantage whenever it suited them. The doctors wanted it banned because many of the depressed patients that would have paid these doctors large sums of money to cure them, now simply drank a cup of coffee and felt much better. The mufti of Mecca, on the other hand didn’t want it banned and took the side of those that didn’t want the drink banned – after all, he was drinking the stuff himself. The issue was finally resolved in a political manner when the Sultan of Cairo intervened and reprimanded the Khair Beg for banning a drink that was widely enjoyed in Cairo without consulting his superior. In 1512, when Khair Beg was accused of embezzlement, the Sultan had him put to death and coffee survived in Mecca.